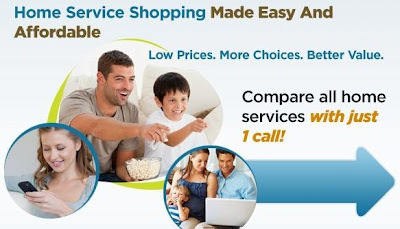 Home Service Shopping Made Easy & Affordable w/ Connect Your Home! Let's say you move to a new house and need phone, cable or internet service. If you move a few miles away, it shouldn't be hard to get these services set up for you, just give them a call and transfer. But what if you move a few states or farther away? Chances are, that home service you're familiar with isn't offered in your new area. So, what do you do? Open a phone book? Start Googling? Even with that information at your fingertips, it can still be a confusing task if you don't know what these companies offer. Home Phone: You can get home phone service for as low as $9.99 a month. Don't pay for those extra, included features if you don't need them! Internet: There are so many different types of ISPs out there; DSL, cable, satellite...easily find which one fits your needs and budget. Television: I don't know about you, but I don't watch over half of the channels I pay for! You can find monthly packages for as low as $19.99 using Connect Your Home! Connect Your Home is an award winning, authorized retailer of the top home service providers in the nation and are currently servicing over 90,000 consumers. They are a BBB Accredited Business with an outstanding A+ rating. Click here to visit the site and do a quick search. You may just find you are overpaying for your service or can take advantage of a great promotion!